I wanted to thank you for all the hard work in resolving our tax matter. What impressed me the most is that I never felt like “just a source of billable hours.” It was very apparent you and the firm worked efficiently and to the very best of your abilities to obtain the best outcome possible. Both my husband and I are very pleased with the end result and the personalized approach to our case. We would highly recommend your services. Our taxpayers had unpaid assessed federal Form 1040 liability for several years in the total approximate amount of $80,000, inclusive of penalties and interest. We analyzed our taxpayers’ financial situation and discovered several monthly expenses that the IRS generally disallows. 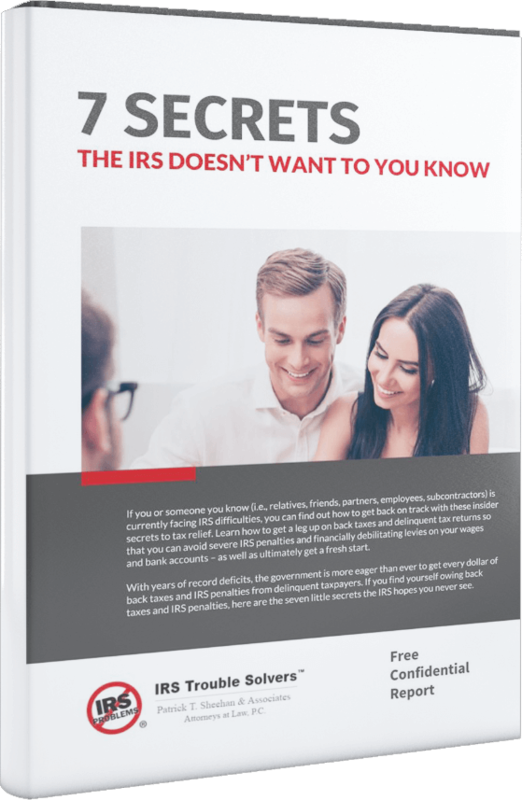 The IRS initially demanded that our taxpayers enter into an installment agreement in the amount of $450 per month. We successfully raised valid arguments regarding our taxpayers’ monthly expenses and convinced the IRS to deem the taxpayers as temporarily uncollectible. Deemed temporarily uncollectible means that the taxpayers’ liability still remains in full force and effect and interest continues to accrue. However, the IRS will not take any enforced collection action against them provided no events occur that remove them from uncollectible status. The IRS will often review a taxpayer’s uncollectible status after two years.